Founded in 1944, the NCAI is the oldest, largest, and most representative American Indian and Alaska Native organization serving the broad interests of tribal governments and communities. NCAI, a non-profit organization, advocates for a bright future for generations to come by taking the lead to gain consensus on a constructive and promising vision for Indian Country. The organization’s policy issues and initiatives are driven by the consensus of their diverse membership, which consists of American Indian and Alaska Native tribal governments, tribal citizens, individuals, and Native and non-Native organizations. 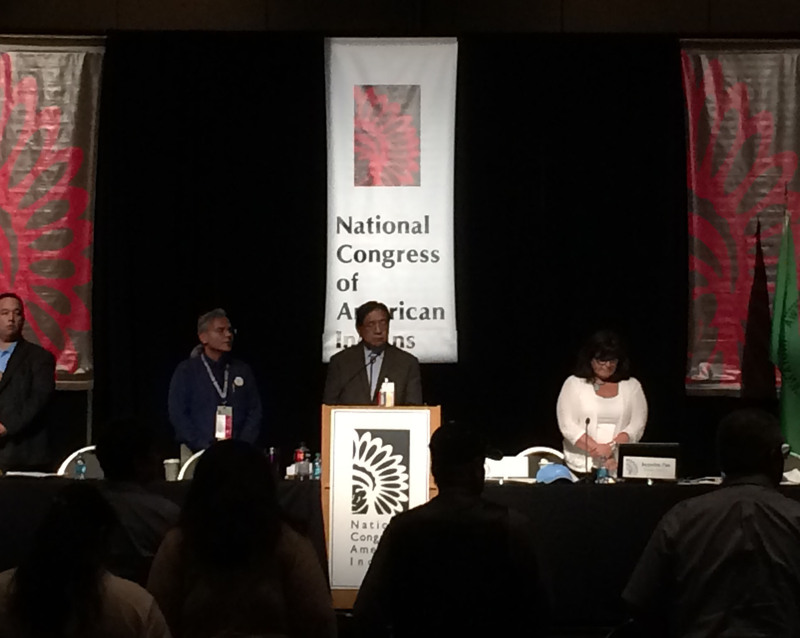 “Standing in Support of our Two-Spirit Relatives in our communities and Nations” (Resolution #MSP – 2015 – 047) was reviewed and unanimously passed by the NCAI’s Human Resources Committee on the afternoon of Tuesday, June, 30. Then the next day, Wednesday, July 1, 2015, the resolution was brought to the full assembly where it passed unanimously. “The passing of this resolution takes us back, back beyond the shaming and oppression of colonization of our Two-Spirit relatives. It is a statement from NCAI that the lives of our Two Spirit/LGBT people is once again important. 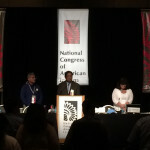 I hope that we can use this resolution as leverage for future work and future funding to decrease the health disparities that impact our Two Spirit people, said Pamela Jumper Thurman, (Western Cherokee), a Senior Affiliate Faculty scholar at Colorado State University and who was also at the conference. The next national conceiving of NCAI is the 72nd Annual Convention and Marketplace this October 18 to 23, 2015 at the Town and Country Resort located at 500 Hotel Cir N, San Diego, CA.